(CNN) – Bruce Jenner, who has spent his entire adult life in the public spotlight, has secretly spent his entire life as a woman. Now the secret is out. “Yes, for all intents and purposes, I’m a woman,” Jenner told Diane Sawyer in an interview televised on ABC on Friday night. Jenner said he has the “soul of a female” and told Sawyer “my brain is much more female than it is male,” even though “as of now I have all the male parts.” Jenner dreams as a woman. “I’ve been thinking about this day forever,” Jenner told Sawyer, describing in emotional terms how male gender identity was a lie. But “she is not a lie,” Jenner said. Jenner expressed optimism that “what I’m doing is going to do some good” and talked about becoming involved in transgender activism. Support for Jenner seemed to dominate social media conversations as the TV special aired. The in-depth discussion of being transgender was immediately heralded as a historic moment for societal understanding of gender identity and expression. Advocates for the transgender community — some of whom had prepared weeks ahead of time — thanked Jenner for mainstreaming something that remains mysterious to many. On social networking sites, viewers called the ABC program riveting, if not necessarily surprising, and called Jenner brave. While the special was airing, the E! cable channel announced a long-rumored documentary series about Jenner’s transition. The 8-episode series will debut in late July. Both ABC and E! 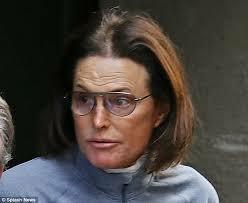 said that Jenner has, for now, indicated a preference to be called “Bruce” by the press and as “he,” with male pronouns instead of female.